This product is Natasha and Rich’s premiere step by step training course that shares the exact tools and steps that they have utilized to build a list of 1000s, sponsor more than 150 people and generate 100s of affiliate sales using the Internet…without making cold calls. The Gold package includes The Lead Whisperer’s Guide to Attraction Marketing E-book, 12 step by step training videos, and a 12 mp3 audiobook version of the e-book. 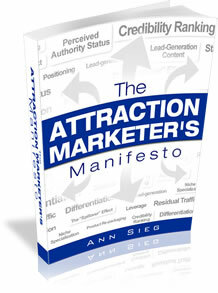 Click here for The Lead Whisperer’s Guide To Attraction Marketing. Slapped! is the result of more than 50 hours of research of the pay per click advertising platforms. Natasha set out to determine why so many Internet marketers have become victims of “slaps” on the most popular advertising networks. Watch Natasha’s value-packed presentation and discover the top 8 mistakes online marketers make that may get them kicked off of PPC platforms or get them sued. Click Here To Watch Natasha’s Special Slapped! Presentation. I don’t typically recommend do-it-yourself legal forms, but if you can’t afford to hire an attorney to draft the necessary legal forms, I recommend www.mylegalformgenerator.com . Attorney Mike Young not only went to my law school- his practice is focused on Internet law. You do not want to go a just rip off otherpeople’s disclosures- because they may not be suited for your particular situation (which depends on the products and services that you’re selling). Note: Although we would recommend these products even if there wasn’t a monetary incentive, we must disclose to you that these links go to affiliate sites, so if you purchase any of these products, you will be passing on a commission to us…thank you. As with any product that you spend your hard-earned money on, we recommend that you do your due diligence in deciding if the products are right for you. We cannot warrant the effectiveness of any of these products!